Summer has approached and it’s the time for children to join the summer camps. School and college exams are nearly over and there will be a month plus few more days which can be used for learning some new skills or activities. Let the kids get engaged in learning some activities which will prove to be useful in the future. 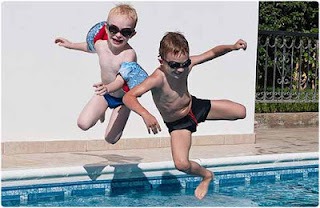 Among the summer camps held in and around Thane, summer camps organized by United-21, Thane is unique offering sessions of Swimming and Squash. Summer camp basically should be a form of holiday for learning new interesting things. One of the benefits of the summer camps is making new friends with similar interests. These camps keep the kids busy along with learning some new things. If the kid joins the summer camp he will get clear idea what actually is a summer camp. The summer camps in Hotel United-21, Thane have already started from 10th of April 2012 which will conclude on 10th June, 2012. There will be fifteen sessions of swimming for kids in the age group six to fifteen years. The fees for each participant is Rs 1800/-. Also fifteen sessions of Squash will be held for age group of 9 to 18 years costing Rs. 1,800/- for each participant. Both the sessions will be supervised by highly experienced experts in swimming and squash. Hotel United-21, Thane is a reputed venue for the camp with entire necessary infrastructure available at its premises. Hurry and join the summer camp before the admissions are full.